Samsung is preparing the Galaxy A8s to be its trailblazer device with an Infinity-O display. According to a prominent Twitter leakster @MMDDJ_, the new smartphone might also be the first Samsung smartphone without a 3.5 mm audio jack, paving the way for USB-C audio in the Galaxy S and Galaxy Note series. The Korean company is apparently testing the waters with the Galaxy A8s and its all-in approach. 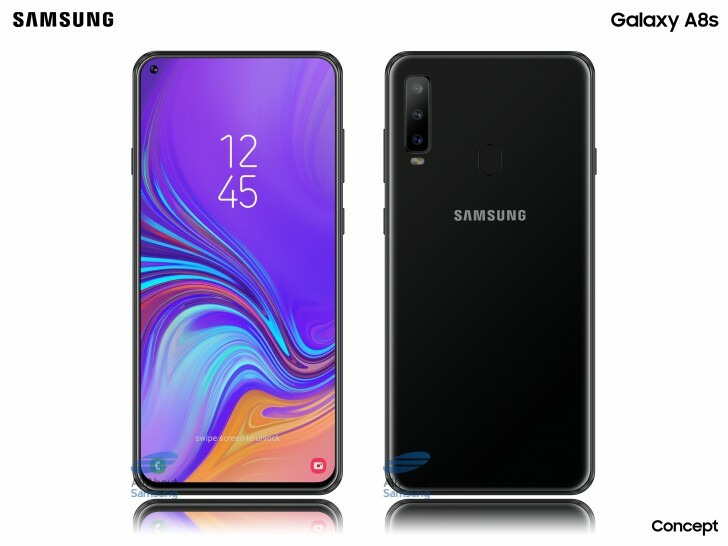 Given the Galaxy A9s and Galaxy A6s monikers are China-exclusive, we might see the new device getting unveiled first in China, and if the reception is going on well, Samsung will likely copy the product design in its Galaxy S10 series, bound to arrive in Q1 2019. We are still waiting to hear more specs about the upcoming phone, but we know the display with a hole is likely to be developed by BOE, a company specializing in unusual screens, rumoured to partner Huawei in developing a foldable phone.